2nd round in the Open Call Competition for the new station of the volunteer fire department of Puurs in Belgium. The building is carefully integrated into the characteristic landscape of Klein-Brabant, yet clearly recognisable as the fire station of Puurs. It thus reacts on the generic business parks along the N16 that seemingly lack any relationship with the landscape. On the site, that will be shared with a - not yet designed - schoolyard, the fire station makes optimal use of the depth of the plot and the narrow entrance at the street side. 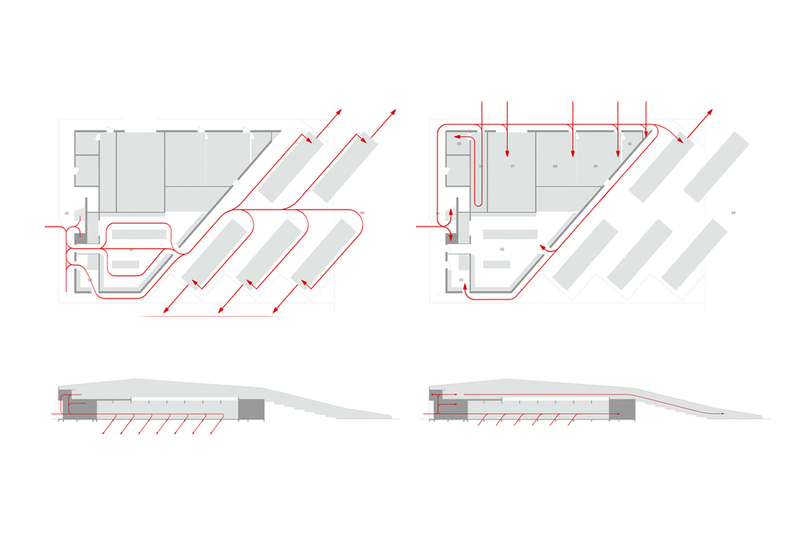 The defining criterion for the layout of the building is the routing of the fire engines that need to be able to turn out as fast as possible.